“Sambumbia” is Caribbean slang for a concoction or mixture of elements that create something new, much like Ray Viera’s music, which contains influences from “each corner of the planet” but never strays far from its (Puerto Rican) roots. Viera is a die-hard Boricua who grew up in a musical environment. His influences include Héctor Lavoe, Chamaco Ramírez, Pete “El Conde” Rodríguez, Ismael Rivera, Marvin Santiago as well as Cuban music, in all its forms. 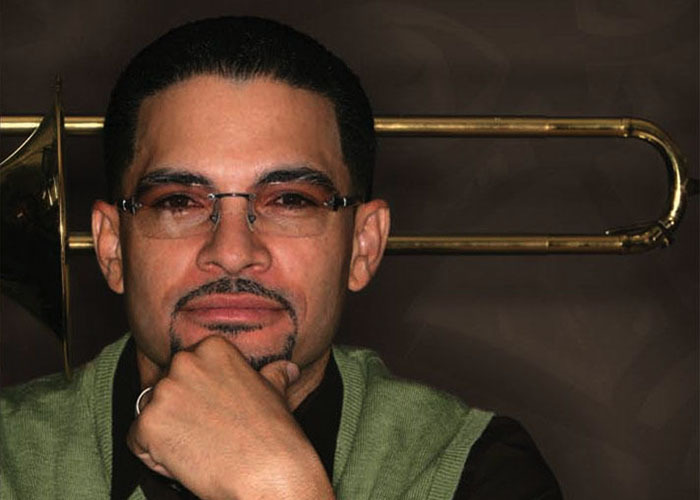 At the age of eleven Viera relocated to the “Barrio” of North Philadelphia, where he was exposed to urban rumbas and Puerto Rican “Décimas” (a ten line stanza of poetry and song) as well as African American R&B. After a stint in the military Viera returned to North Philadelphia where he discovered his voice while participating in rumbas. A turning point in Viera’s life occurred when he visited the legendary Copacabana night-club in New York (circa 1970s) and met his “musical father” and mentor, Johnny “El Maestro” Pacheco. According to Viera, he gave Pacheco a demo tape of himself performing with a local band called “Salseate.” Shortly thereafter, Pacheco invited Viera to participate in a recording session and invited him to become a member of his band. Viera has shared the stage with Johnny Pacheco’s “Tumbao,” Celia Cruz, Eddie Palmieri and La Perfecta 2 and the Spanish Harlem Orchestra among others. In 2002 he stepped out on his own and recorded Aqui Está … Ray Viera, followed by the highly acclaimed Trombao in 2008. 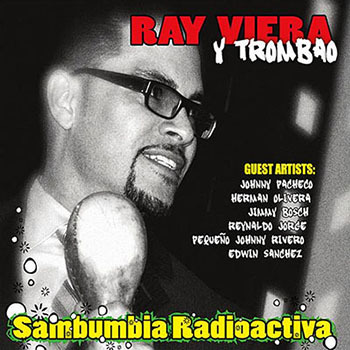 Sambumbia Radioactiva represents the evolution of Ray Viera. In addition to coming up with the concept, he composed all the tunes and had a hand in every facet of the production. Like any sonero and bandleader worth his salt Viera’s overarching mission is to get the public on the dance floor but with Sambumbia Radioactiva he set out to create a recording that dancers and music lovers will enjoy from start to finish. With that in mind the repertoire is diverse, the lyrics are catchy and socially aware and the arrangements are superb. To his credit, Viera’s insistence on recording the music “live” (with all of the musicians in the same room) makes it all the more dynamic. Thematically, Viera covers all the bases. “Calla” (reminiscent of Eddie Palmieri’s “La Lengua”) points a stern finger at idle gossipers, “Portate Bien” and the lush bolero, “Mi Gran Querer” bring out the crooner in Viera, “Carta a Mamá” and “Casanova y su Son” (a monstrous son-guajira) are heartfelt tributes to his mother and the late, great Héctor Casanova, “Los Hermanos del Sabor” pairs Viera with the dynamic Hermán Olivera, “Experimento en Optimismo” is a cry for optimism in the face of life’s daily challenges and the closer is a wicked descarga (jam session) that carries an important message and demonstrates what happens when musicians are allowed to interact with one another and record in real time. In between tracks, the recording is peppered with skits that inject a sense of humor and bring to mind the antics of producer, Al Santiago and the Alegre All-Stars (circa 1950s). And if that weren’t enough, Viera assembled an impressive list of invited guests: Flutist Johnny “El Maestro” Pacheco, sonero Hermán Olivera, trombonists Jimmy Bosch and Reynaldo Jorge, percussionist “Pequeño” Johnny Rivero and arrangers Marty Sheller, Sonny Bravo, Edwin Sánchez, Pedro Bermúdez, José Madera, Lois Cruz, Willie Ruíz and José Lugo. Sambumbia Radioactiva is the antidote to the formulaic music served up on commercial radio and the sleeper of the summer. It’s also living proof that the future of salsa is in very good hands. Tracks: 1. El Trombao Original, Portate Bien, Los Hermanos del Sabor, Casanavo y su Son, Calla, Todos Somos Latinos, Carta a Mama, Mi Gran Querer, Experimento en Optimismo, Descarga Esclavitud Moderna. 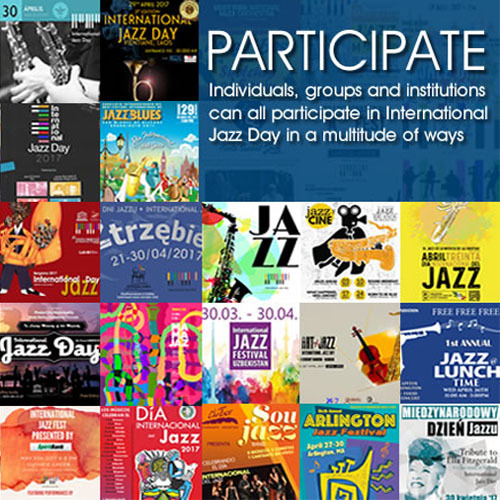 Personnel: Ray Viera, Edwin “Chi-Town” Sánchez, José “El Swing de Medellín” Tabares, José “La Pega” Dávila, Luis “Pipi” Cruz, Chris “El Escocés” Kollar, Jimmy Bosch, Reynaldo Jorge, Ozzie “The Wiz” Meléndez, Tunkinor “Kaji” Kajiwara, Jorge “La Campana Que Baila” González, Willie “Mumbles” Moreno, Jorge González, Johnny “El Maestro” Pacheco, Johnny “Pequeño” Rivero, Edwin Sánchez, Pablo “Chino” Núñez, Luisito “El Charrasqueao” Rodríguez, Pucho Matos, Adrian Esteban, Jorge “El Veterano” Maldonado and Hermán Olivera. “Sambumbia Radioactiva” is dedicated to Johnny Pacheco and the memory of the late Luisito Ayala.